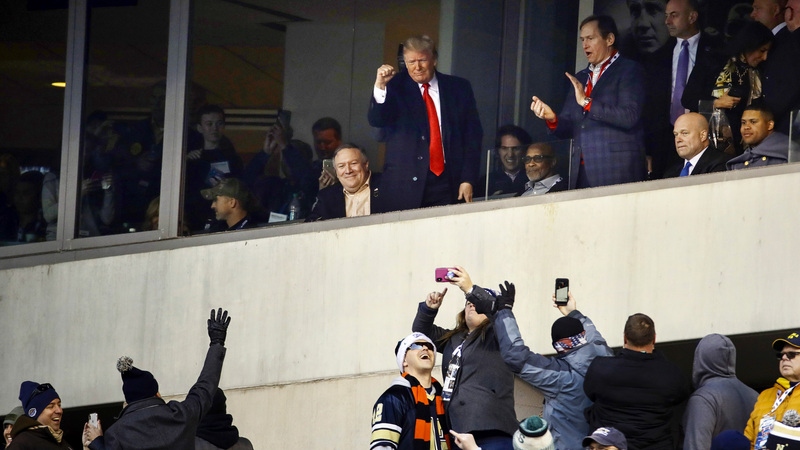 PHILADELPHIA — The No. 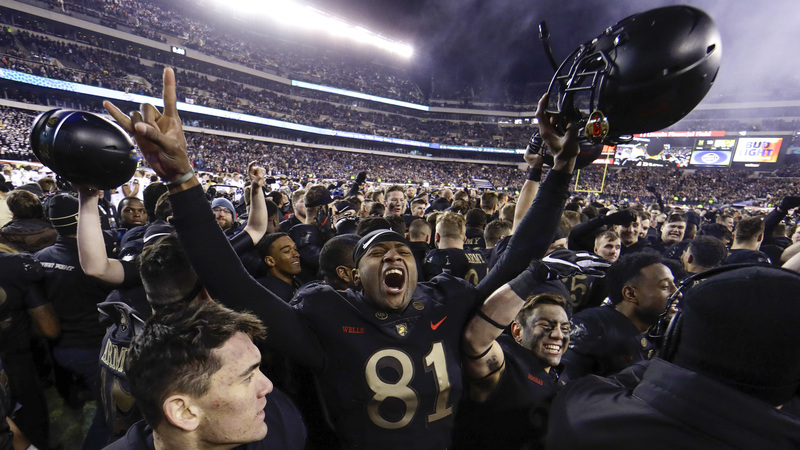 22 Army Black Knights jumped out to an early lead Saturday evening against their longtime rivals from Annapolis — and they never looked back, beating Navy for the third straight year and retaining the Commander-in-Chief’s Trophy in front of President Donald Trump and 66,729 fans at Lincoln Financial Field. 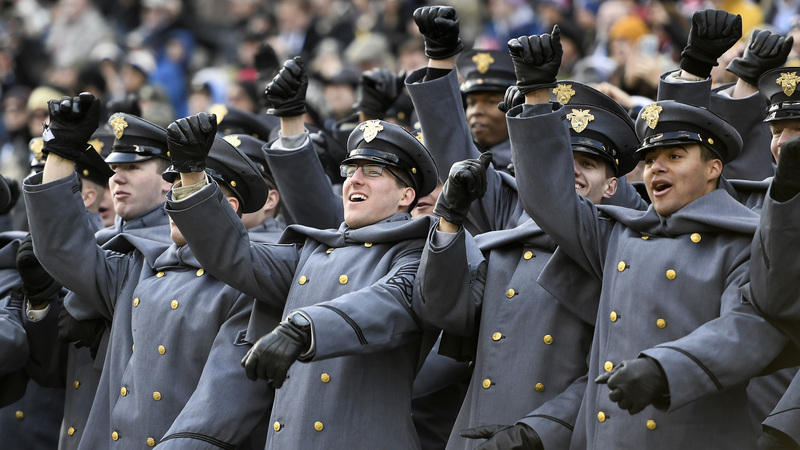 A lethal ground game — three players finished with over 50 yards on the day — employed all season by Army was once again used to control the pace of the game, keeping the Black Knights' offense on the field for over 34 minutes in the 119th game between the rivals. 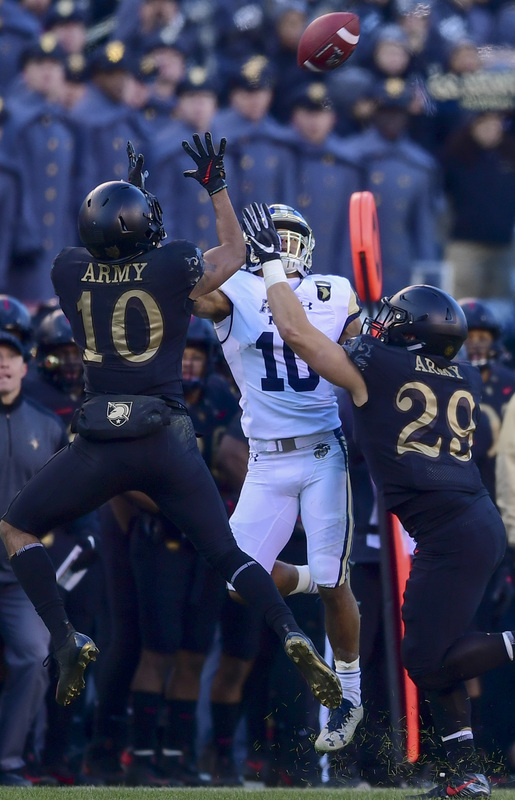 Army (10-2) scored on its first series of the game, when junior running back Kelvin Hopkins, Jr. punched it in from 10 yards out, the culmination of an explosive 82-yard drive that took just 2:26 and was highlighted by a 51-yard rush by junior running back Kell Walker. 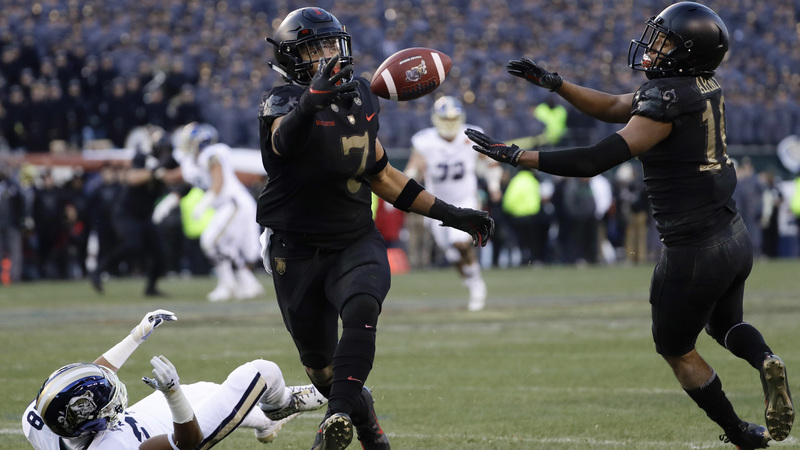 Army’s run game and dominant offensive time of possession allowed head coach Jeff Monken to keep his players on the other side of the ball fresh, and it paid dividends as it has all season. 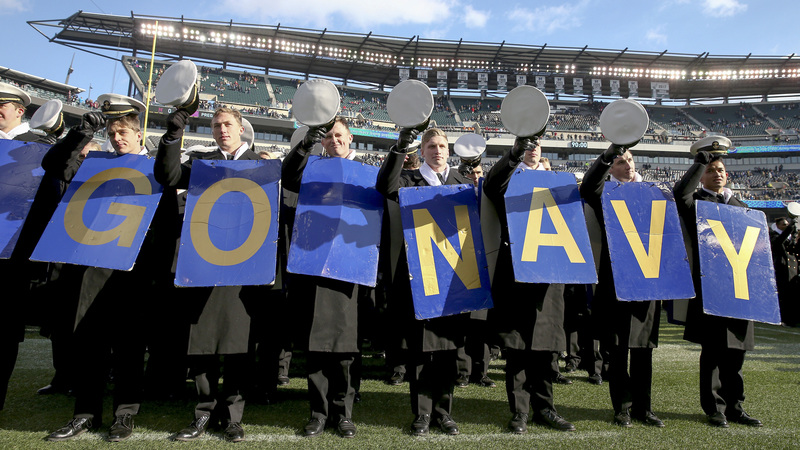 Navy (3-10) managed just 208 total yards in the game, much of which came in the second half. 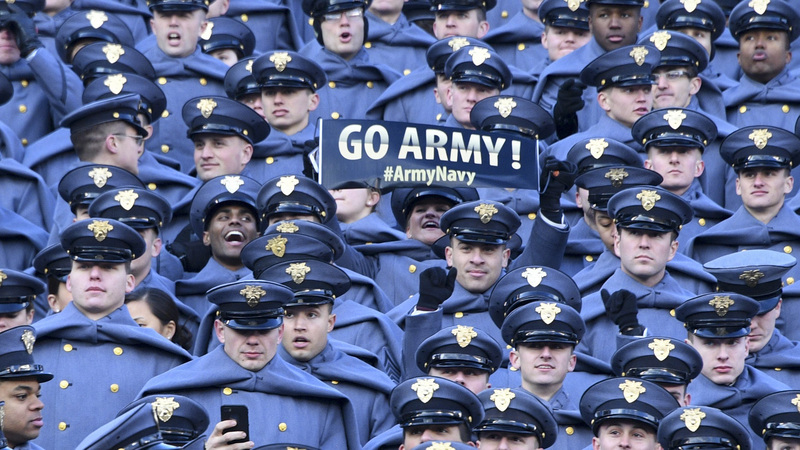 Through the first 30 minutes, Army racked up 180 total yards, compared to just 39 for Navy. 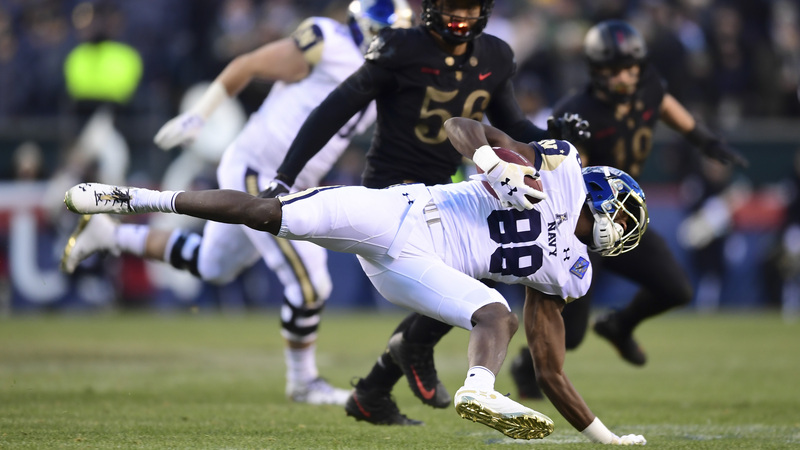 The Midshipmen also turned the ball over on an interception and didn’t complete a single pass in the first half. 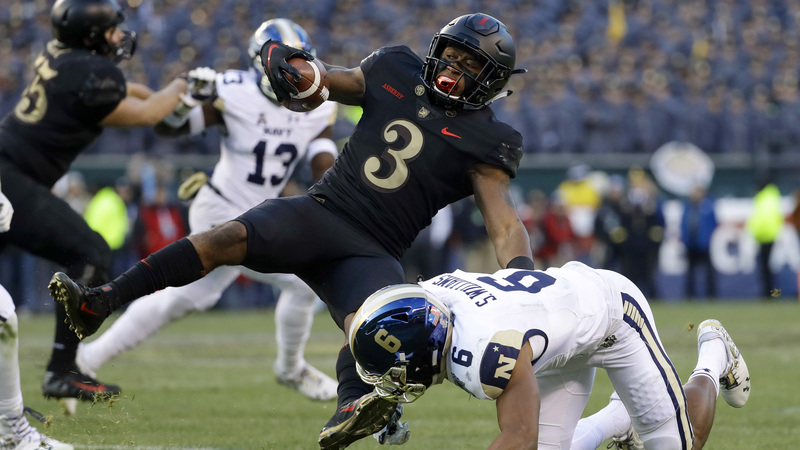 But despite the lopsided stats, Navy’s defense, coupled with a couple self-inflicted wounds by the Black Knights (pass drops and a missed field goal), kept the Midshipmen in the game — Navy trailed just 7-0 at the half. 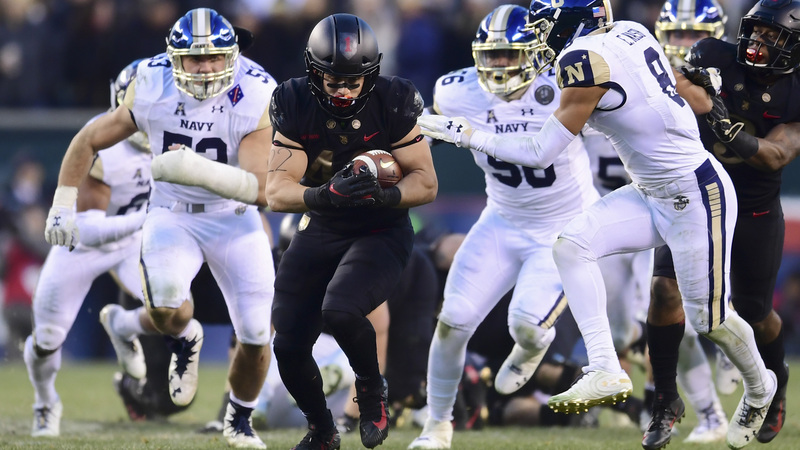 Navy showed signs of life in the second half, cutting the score to 10-7 with a 7:10 left in the fourth quarter, but that’s as close as the Mids would get. 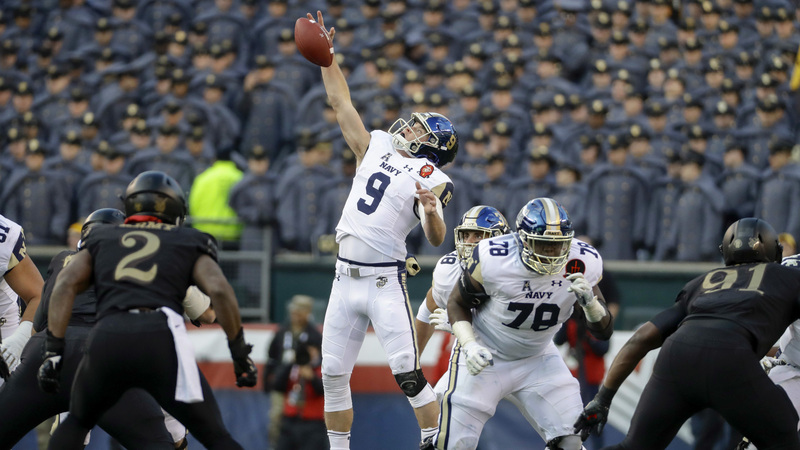 Senior quarterback Zach Abey fumbled on a fourth and long deep in Navy terrority, setting up a short drive for Army that was capped off by another touchdown run by Hopkins. 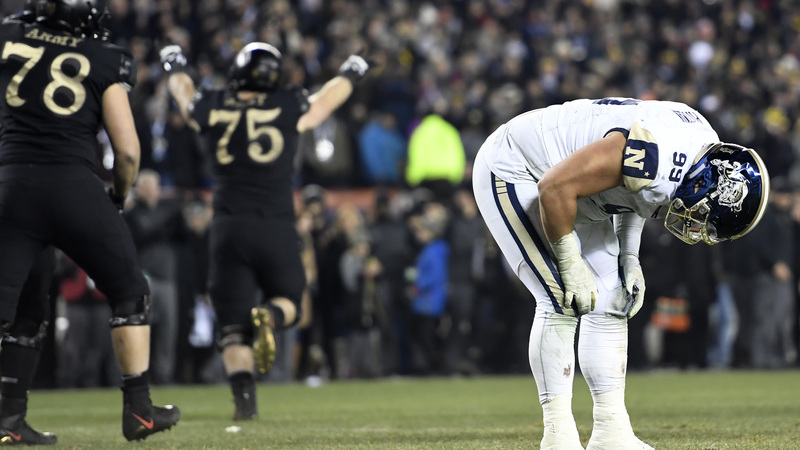 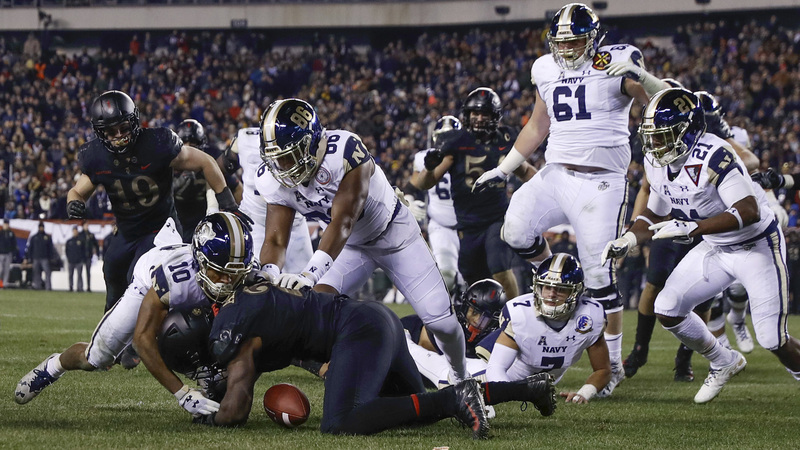 Navy would add a field goal with under a minute remaining to cut it to a single-score game, but four turnovers — the Mids finished with a minus-four turnover ratio in the game — were too much to overcome for Ken Niumatalolo and crew. 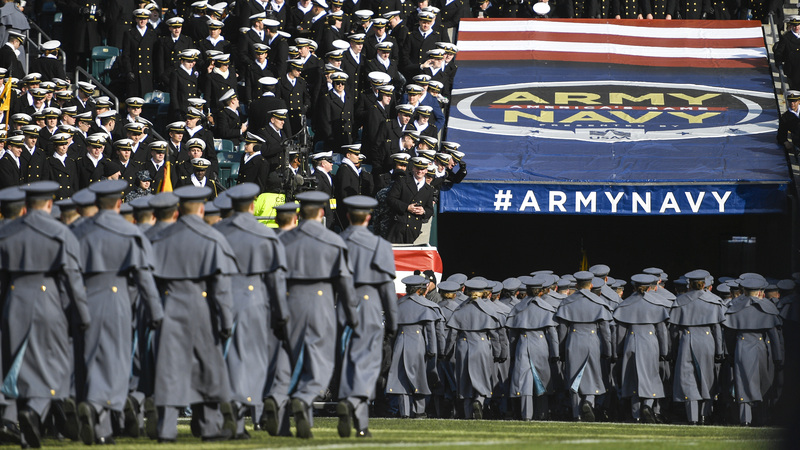 The rest was history, as Army shut the door and closed the already-tight gap on the overall series, which Navy leads 60-52-7. 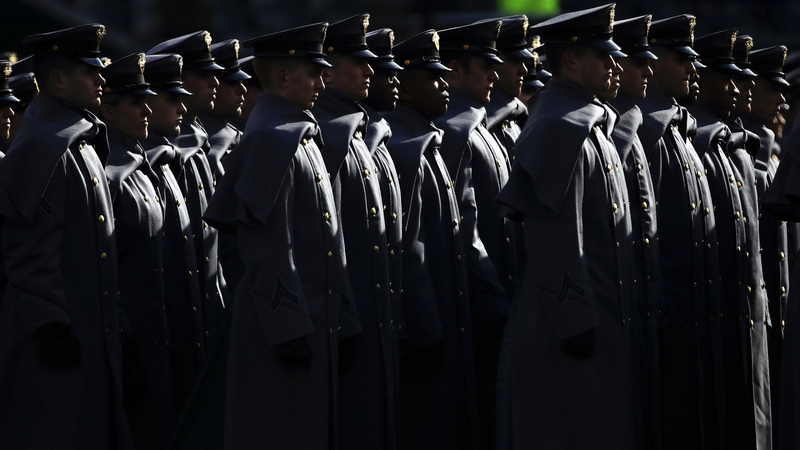 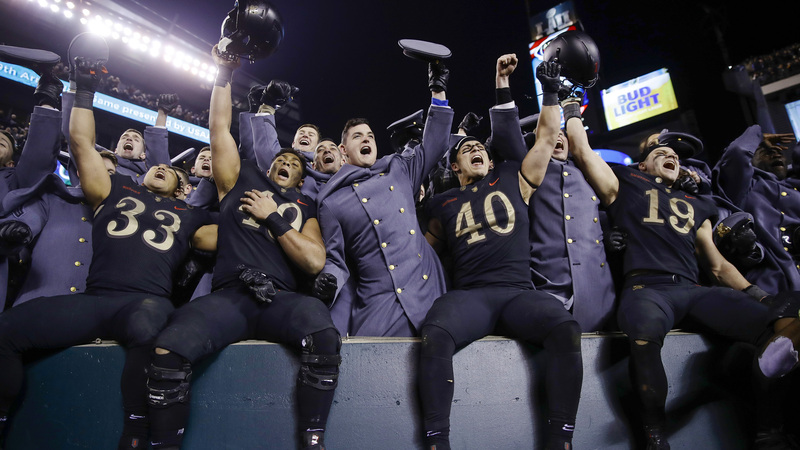 Army will keep the Commander-in-Chief’s Trophy, awarded each year to the service academy with the best record against the other academies, after winning it for the first time in 22 years last season. 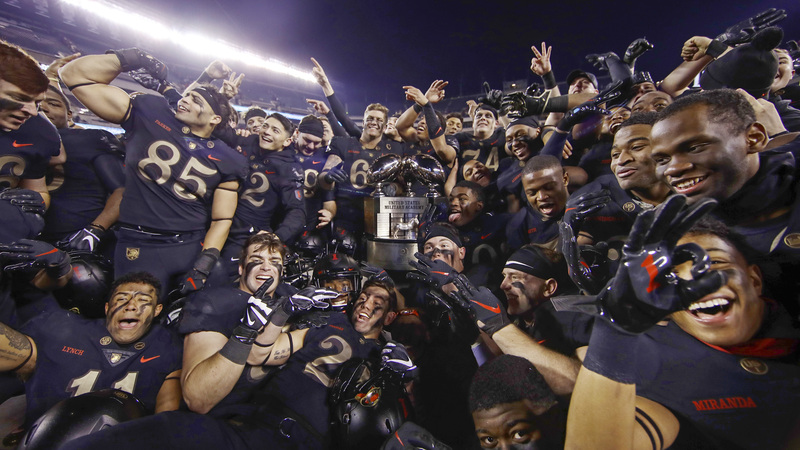 Consecutive 10-win seasons is new territory for the Black Knights — the last time Army completed back-to-back seasons of even nine wins was 1945-46. 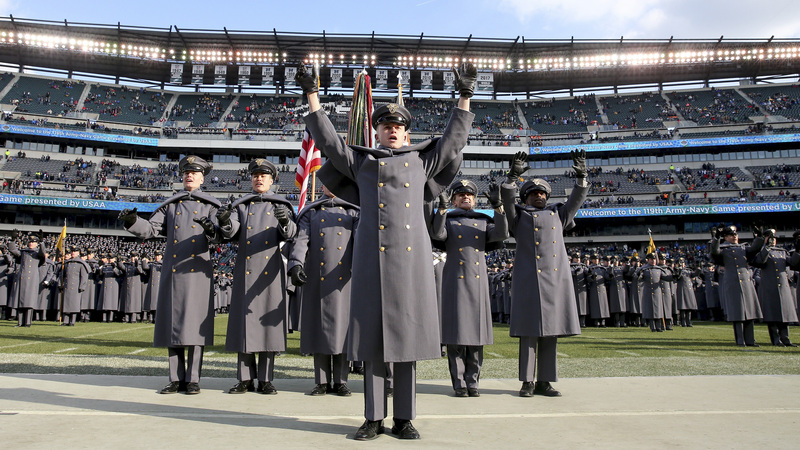 Army will next take on Houston Dec. 22 in the Armed Forces Bowl in Fort Worth, Texas. 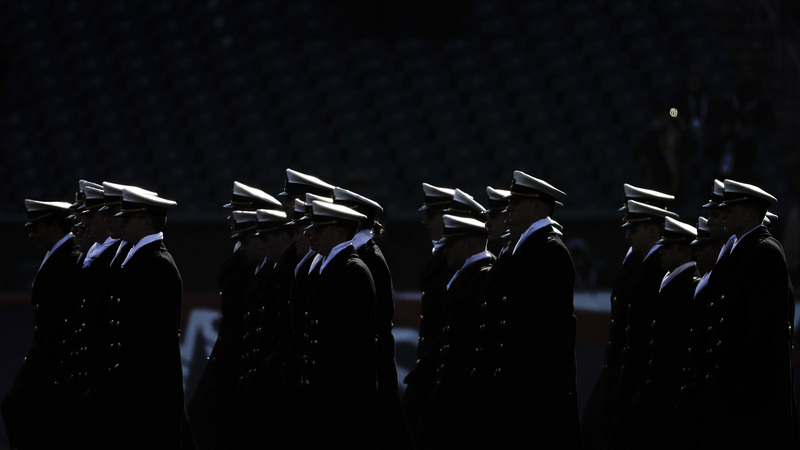 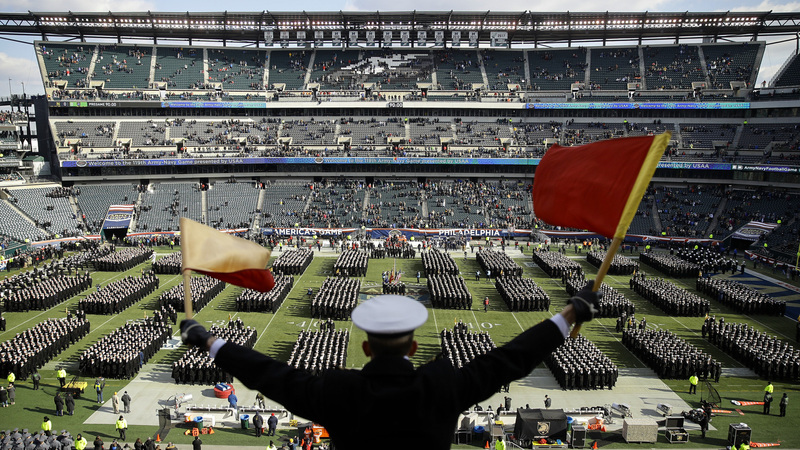 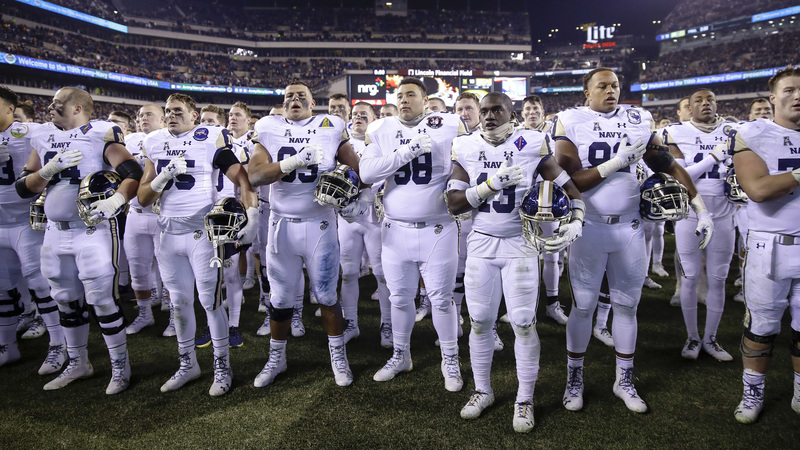 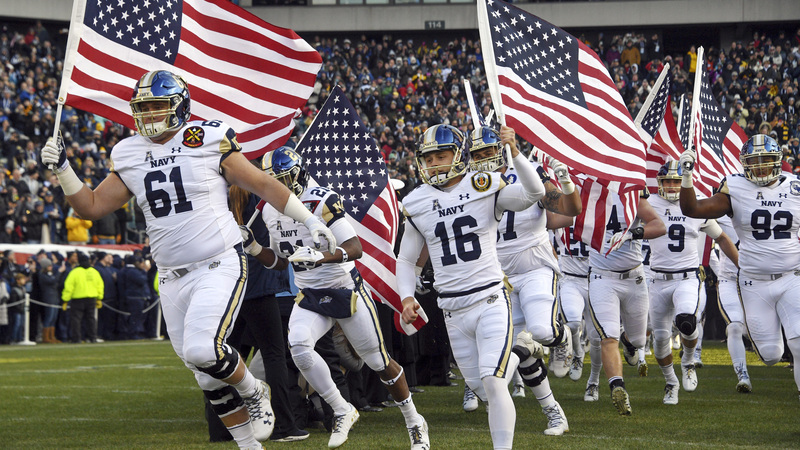 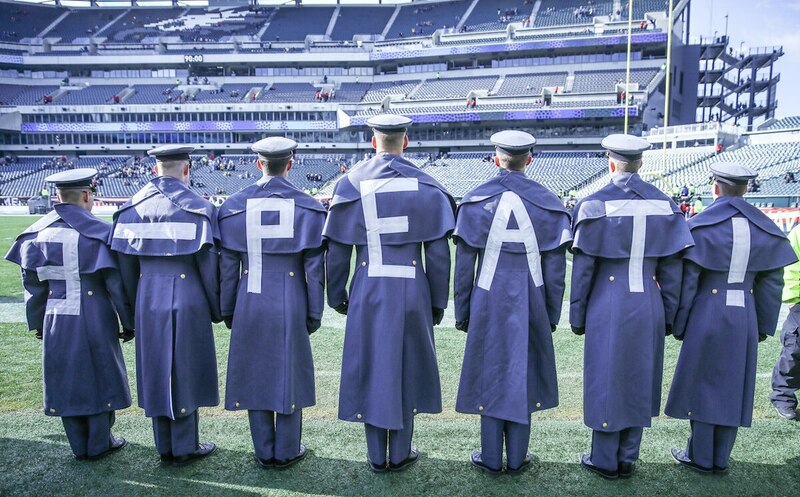 Pregame festivities included the traditional “prisoner exchange,” with seven cadets and seven midshipmen being returned to their home academies after spending a semester visiting the other. 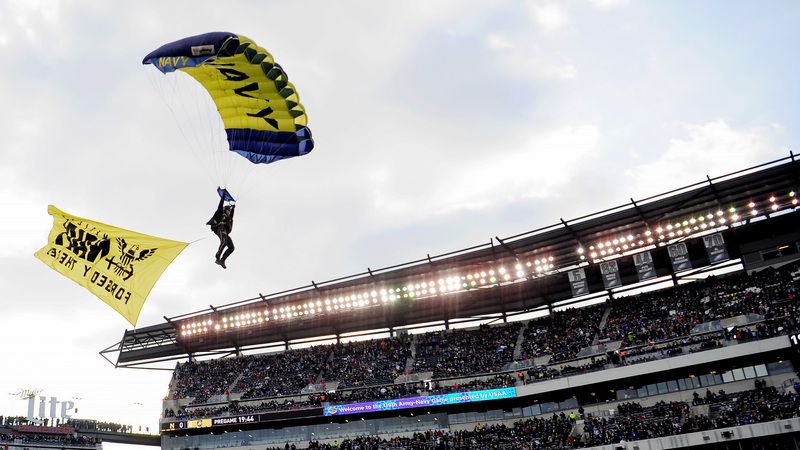 The Navy “Leap Frogs” and Army “Golden Knights” parachute teams also joined in, wowing spectators prior to a thunderous flyover by both Army and Navy aviators. 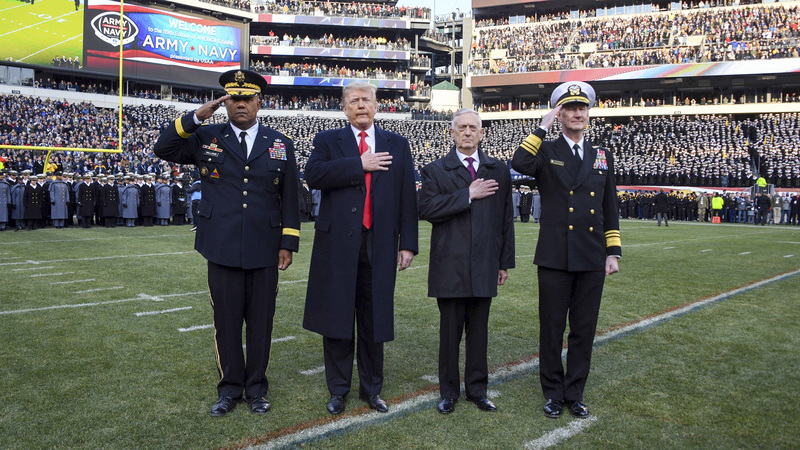 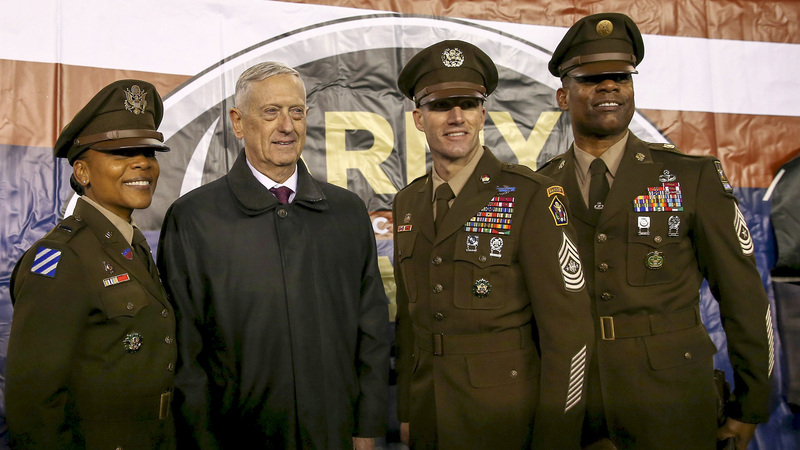 With President Trump and Defense Secretary Jim Mattis on the field prior to kick-off, a moment of silence was observed for former President George H.W. 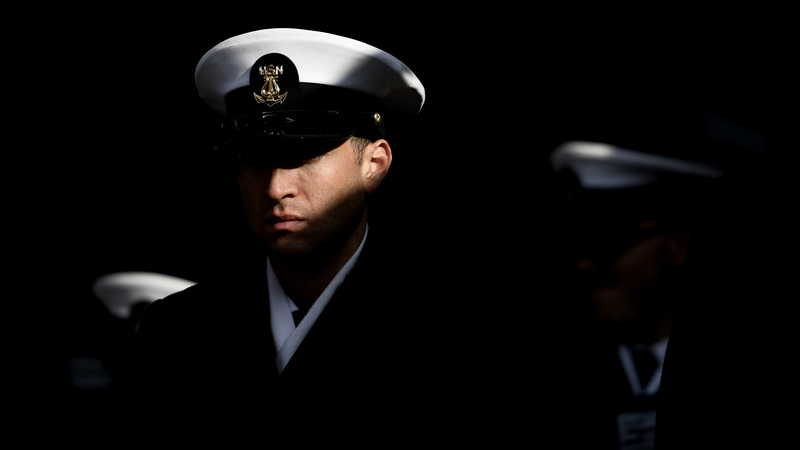 Bush, who passed away Nov. 30 at the age of 94. 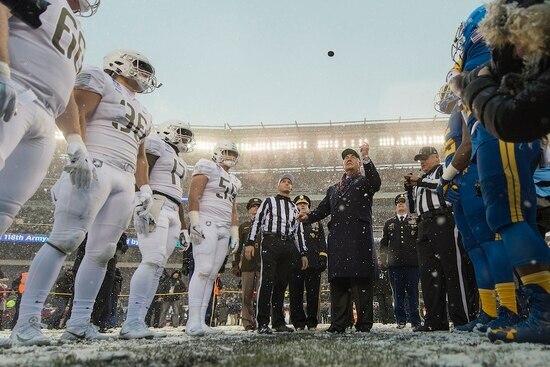 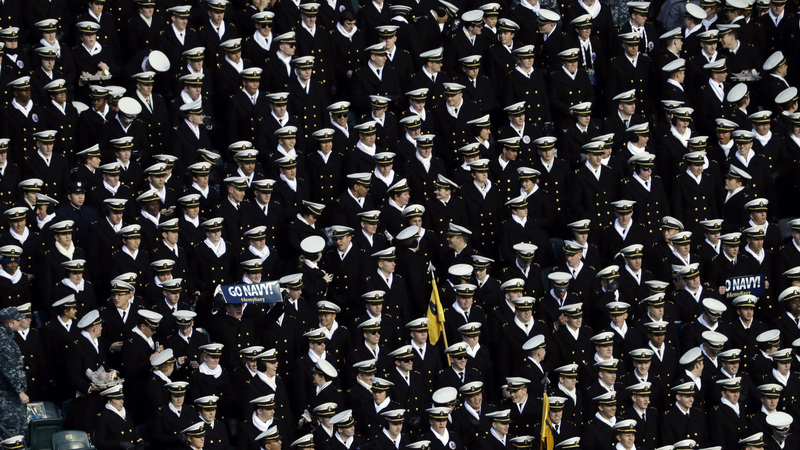 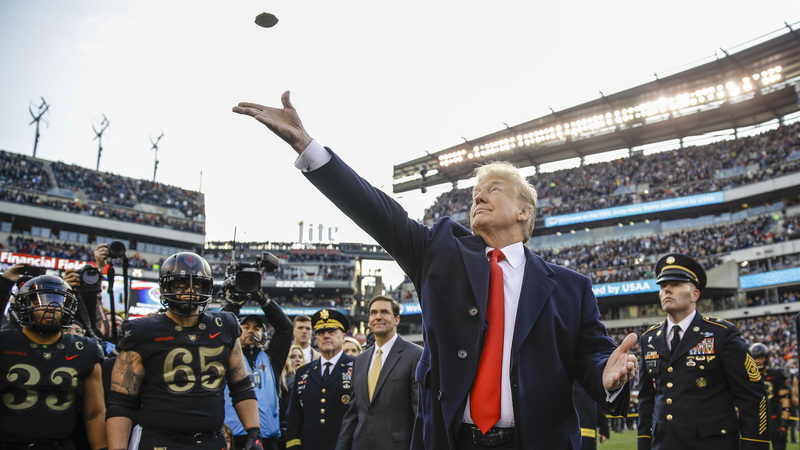 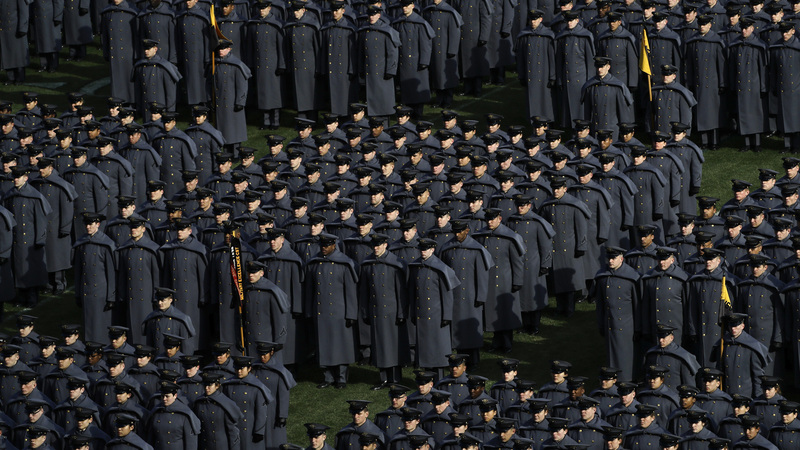 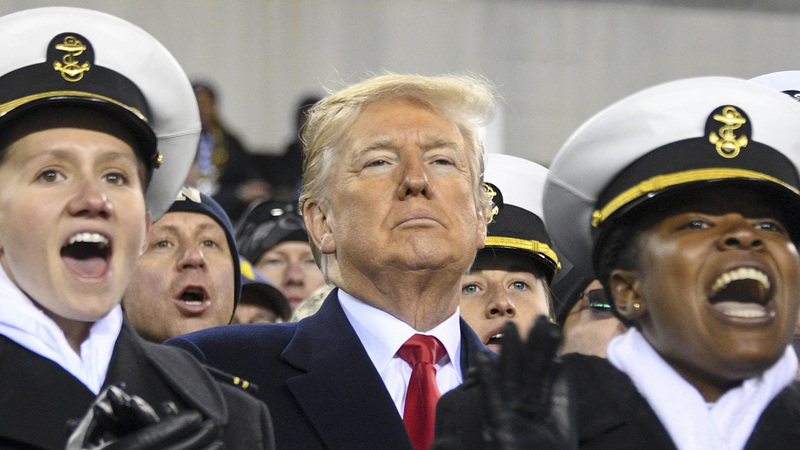 Trump became the 10th sitting president to attend the historic rivalry between the two service academies, a tradition started by Theodore Roosevelt in 1901.